We are capable of supplying various metal wire mesh discs; single-layer and multi-layer ones are both available. Regarding multi-layer mesh discs, the number and arrangement of welding spots can be produced according to your specific requirements. 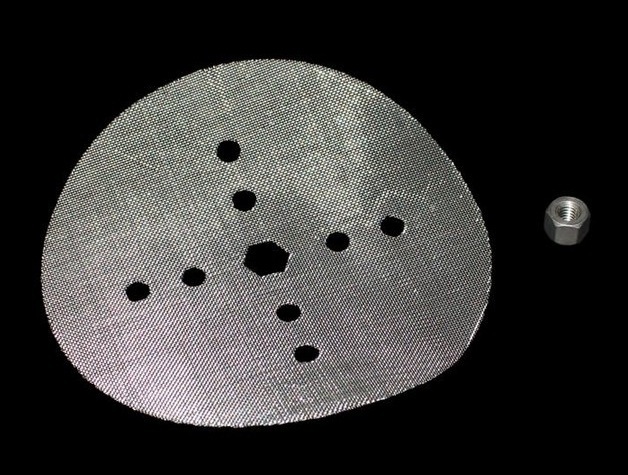 We can produce multi-layer mesh discs with welds. For example: plain steel wire mesh and stainless steel wire mesh can be welded together. Material of discs: stainless steel wire mesh, brass wire mesh, plain steel wire mesh galvanized wire mesh etc. Diameter of wire mesh discs: from 1" to 30". Meanwhile , we are capable of supplying rectangle, square and annular mesh sheets. We offer wire cloth processed welded filter tubes, cylinders and other filter elements. Custom order widths & lengths are available.